Sharon Keller was first elected to the Texas Court of Criminal Appeals in 1994. 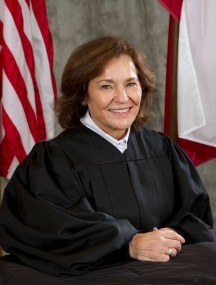 She was elected Presiding Judge in 2000 and re-elected to that position in 2006. She is the first woman to have served on the Court. A native Texan, she earned her Bachelor of Arts degree in philosophy from Rice University in 1975 and her Juris Doctor degree from Southern Methodist University School of Law in 1978. Presiding Judge Keller is chairman of the Texas Indigent Defense Commission, and she is on the board of the Council of State Governments Justice Center. She is a Life Fellow of the Texas Bar Foundation and a member of the Judicial Advisory Council to the Community Justice Assistance Division of the Texas Department of Criminal Justice. By virtue of her office, she is vice-chair of the Texas Judicial Council. In 2003 Presiding Judge Keller received the Distinguished Alumni Award for Judicial Service from the SMU Dedman School of Law. The Texas Indigent Defense Commission provides financial and technical support to counties to develop and maintain quality, cost-effective indigent defense systems that meet the needs of local communities and the requirements of the Constitution and state law. The mission of the Commission is to promote justice and fairness to all indigent persons accused of criminal conduct. The Commission assists counties to provide quality representation in a cost-effective manner. The Council of State Governments Justice Center is a national nonprofit organization that serves policymakers at the local, state, and federal levels from all branches of government. Staff provides practical, nonpartisan advice and consensus-driven strategies—informed by available evidence—to increase public safety and strengthen communities. The Judicial Advisory Council (JAC) advises the director of the Community Justice Assistance Division and the Texas Board of Criminal Justice on matters of interest to the judiciary. The Texas Judicial Council (TJC) is the policy-making body for the state judiciary. The Council studies methods to simplify judicial procedures, expedite court business, and better administer justice. It examines the work accomplished by the courts and submits recommendations for improvement of the system to the Legislature, the Governor, and the Supreme Court.